Are you into luxury and want a new SUV? Then the BMW X3 may be just what is calling your name. This beautiful SUV was completely redesigned in 2018 and now features an incredible sporty look with aerodynamic side panels and all new headlamps. The exterior is just one of the many features that drivers love about this series. It’s also about the cargo room and storage inside. 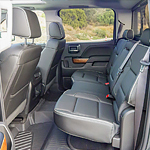 There is plenty of enough room for five people, as well as a large cargo area to fit all of your bags. Truck cab styles have come a long way since our parents' time. All of the different types can be confusion, especially when manufacturers give the same styles different names. Luckily, we here at DCH Auto Group love all things truck, including all the various truck cab styles. Have you ever been on the road and needed to cross over some seriously difficult terrain? If you were in a vehicle that had front-wheel or rear-wheel drive, you might have thought twice about it. Thick mud and standing water can impede on your vehicle's ability to get through tough terrain, but if you have four-wheel drive, you can cross barriers that would otherwise be unwise to try. Here's how to make the most of your four-wheel drive. If you're an independent contractor, then you know just how important your vehicle becomes for your business. Choosing the wrong vehicle could not only cost you revenue, but it can also cost you a lost customer - or even worse, your reputation. 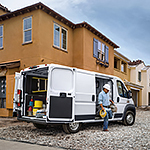 That's why the popular Ram ProMaster makes a fantastic investment! 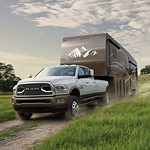 With its sleek and smart exterior, the Ram 3500 is sure to catch your eye. This popular heavy-duty pickup truck boasts an exterior design that adds to the vehicle’s overall appeal. When you visit DCH Auto Group to take your test drive, you’ll be proud to be seen behind the wheel while driving through town. The wheel-to-wheel side steps enhance the truck’s exterior and offer additional convenience. These tubular steps make getting in and out of the truck easier. The steps also work to enhance the truck’s aerodynamics and performance. 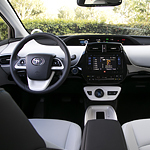 The new Toyota Prius is designed to make your drive more comfortable and convenient. This popular compact hybrid has many great features that drivers will love. We here at DCH Auto Group are very excited to show you how the Prius can change your daily commute. During your drive, you can keep your phone, wallet, and all your other essentials safely stowed away. The center console features a deep storage compartment. The top of the console has a padded armrest for added comfort. The armrest flips up on one side to provide access to the storage area. What’s new with the BMW 6 Series? We here at DCH Auto Group understand the importance of finding the right set of features for your next new luxury car. With a style to match a wide range of tastes, we’re excited to introduce this popular full-size luxury car. 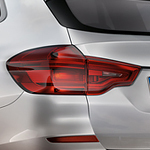 Standard on each BMW 6 Series is a pair of adaptive LED headlamps. Coupled with the LED foglights, they light up the road ahead and add to the overall striking appearance that the 6 Series is known for. It is a reassuring feeling to know that your car will perform the way you expect it every time you get behind the wheel. Not every vehicle is built the same, so if you want a car that is built for performance, then you have to do your research to determine which vehicles make the list. The 2018 Audio A3 seeks to make that list by providing performance features that make driving a joy. 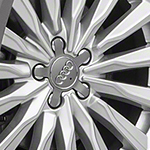 When searching for a compact luxury car, drivers would be well advised to give special consideration to the Audi A4. 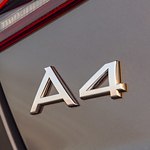 As well as being powerful and comfortable, the A4 is also an exceptionally attractive vehicle. Here at DCH Auto Group, we are particularly impressed with the A4's stunning exterior. It combines a horizontal Singleframe grille with a set of striking LED headlights to create one of the most beautiful cars on the market today. You are simply bound to turn heads no matter you drive in your Audi A4. Whether you're packing for a long road trip or simply getting groceries, having ample cargo room is essential. 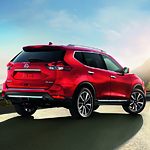 The 2018 Nissan Rogue is a popular compact SUV that can be customized to meet your cargo needs.